CONCORD, Calif. — A California man who admitted to setting a church building on fire six years ago as he was “mad at God” because of the hardships in his life has been sentenced to over three years in prison. 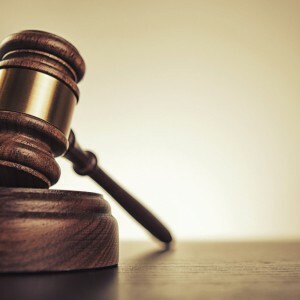 Following an indictment in March 2015 and a subsequent plea deal, Hugo Scherzberg, 48, plead guilty in January to damaging religious property with fire after he used gasoline and a lighter to cause harm to the Church of the Living God in Pittsburg in 2010. According to the United States Department of Justice, Scherzberg was “mad at God for ruining his life.” He grew up with an alcoholic father and struggled with fitting in socially. His mother died eight years ago of a lung ailment, and he himself was diagnosed with kidney disease. Scherzberg had difficulty finding work, was evicted from his apartment and consequently struggled to find shelter. He had sought to turn himself in to police for the 2010 arson just to have a place to stay, reports state. He had thrown a rock in the window, poured gasoline inside and then lit the fuel on fire with a lighter. Scherzberg said that he targeted the facility because it had the words “living God” on it and because it was “readily accessible.” Shiloh Missionary Baptist Church had also been meeting at the location. Over $490,000 in insurance claims have been submitted, for which Scherzberg has agreed to make restitution. He was sentenced to 41 months behind bars on Monday by U.S. Distict Judge Haywood Gilliam, Jr. The maximum penalty for setting fire to a religious building is 20 years imprisonment and a fine of $250,000 (or twice the gross gain or loss caused by the offense, whichever is greater), plus restitution costs. Sherzberg has been serving an 18-month prison term for another incident, as he allegedly set fire to Pilgrim Community Church in San Francisco in November 2014. He had poured gasoline on the front door of the facility and was pointed out to police by those who witnessed him on the premises.